An asylum reopened as a Halloween attraction becomes a killing ground. Fittingly enough, director Ante Novakovic's slasher throwback Fright Fest received its world premiere at Arrow Video FrightFest. However, the title doesn't refer to any horror movie festival, rather to the American (and increasingly, worldwide) tradition of turning abandoned buildings into spooky attractions come Halloween time (as seen in such recent documentaries as The American Scream and Spookers). Like Georges Franju's offbeat 1961 thriller Spotlight on a Murderer, Fright Fest features a killer knocking off the guests and hosts of an abandoned building turned wannabe tourist attraction. Desperate for re-election, the mayor of a small town decides to win the votes of his populace by turning the town's long disused asylum into an elaborate Halloween attraction. Hired to oversee the project is Spencer Crowe (Dylan Walsh), a once respected cult horror movie director who thanks to his various vices, hasn't had a paid gig in four years. Crowe and his long suffering but bafflingly loyal assistant Finkle (Pancho Moler, whose stature is uncomfortably the subject of a few too many jokes) do an impressive job of filling the asylum's rooms and corridors with all manner of ghastly delights, and the local gorehounds flock to the site. All is going swimmingly until a drunk-driving Crowe causes a van transporting dangerous inmates to crash, killing everyone except two of its psychopathic passengers, who make their way to the renovated asylum and transform a night of fake scares into an all too real bloodbath. Fright Fest boasts a winning premise with most of the ingredients for a successful slasher - a claustrophobic and confined location, a scary villain and plenty of potential victims. What it doesn't have however is that key component of the genre - a 'final girl' (or boy) whose shoes the audience can tread in, immersing them in the horror. For most of its running time, Fright Fest simply has an indeterminate number of redshirts slaughtered, never allowing us to spend any time with a character that might be considered the film's protagonist, and it's only in the last 10 minutes that someone steps up to claim the final girl role, if only through a process of elimination. There's also a distinct lack of tension and suspense as Novakovic stages the action in uninspired fashion. 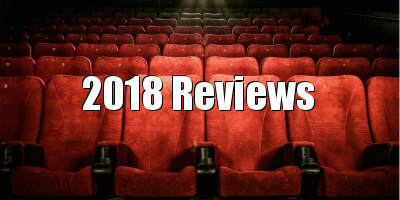 The director never establishes the geography of his film's location, and as a result we never know where the killer is in relation to his potential victims, which removes the sort of "don't open that door/turn into that corridor" moments that should be the bread and butter of this sort of movie. There's a bank of CCTV screens surveying the entirety of the asylum, which used well could have given us some nail-biting Hitchcockian moments, but Novakovic completely neglects this element. What Fright Fest does have is a doozy of a bad guy, and I don't mean the faceless psycho stalking the converted asylum, rather Crowe, the cowardly sleazebag filmmaker played with such relish by Nip/Tuck star Walsh. Locking himself away in his attraction's makeshift control room, Crowe records the mayhem with the cameras he has hidden around the institution, planning to edit the footage into a gruesome Faces of Death style compilation - his greatest cinematic achievement. Walsh is clearly having a blast in the role and his manic presence goes a long way to papering over the cracks in a film that largely squanders its premise. 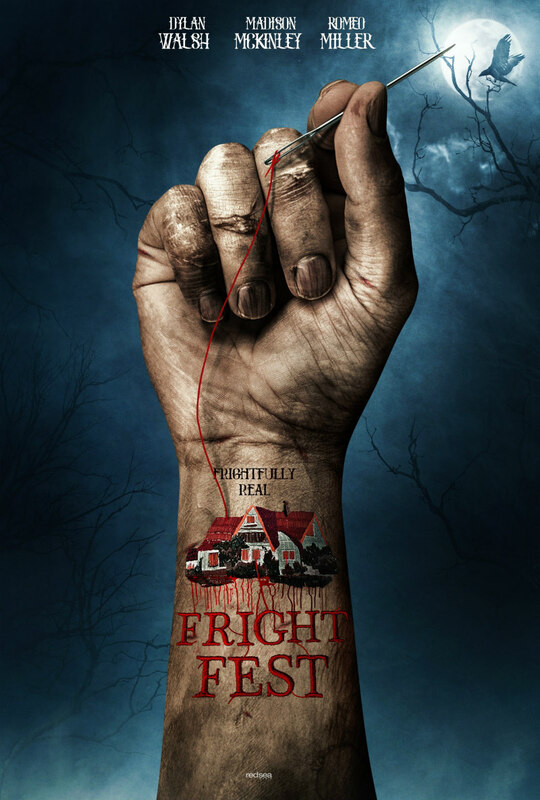 Fright Fest will receive a home entertainment release in 2019 courtesy of FrightFest Presents.